Don’t show up empty-handed on Thanksgiving Day. Show the hostess your thanks with a gift. Being the hostess for Thanksgiving dinner is no small undertaking – it takes a lot of thought, preparation, and usually a good deal of money. If you’re not immediate family or close extended family, it’s nice to bring a small gift that is something special. The best hostess gift requires no work from the hostess, is something that the hostess will use and will trigger memories of the giver. We put together some of our favorite gifts that any hostess would be thankful to receive…on Thanksgiving or any occasion.Since Thanksgiving kicks off the six weeks during which we must go everywhere bearing gifts —it’s a good idea to have a bunch of small gifts all wrapped up and put in a festive pile, preferably by the door, so you can grab and go.Then, when the night comes — and it will — when you’re running late for a holiday party, at least the hostess gift will be in hand. Another bonus: you will have zero panic when you discover you already have a gift for the hairdresser, teachers, and dog groomers in your life. not only at Thanksgiving but throughout the coming year. 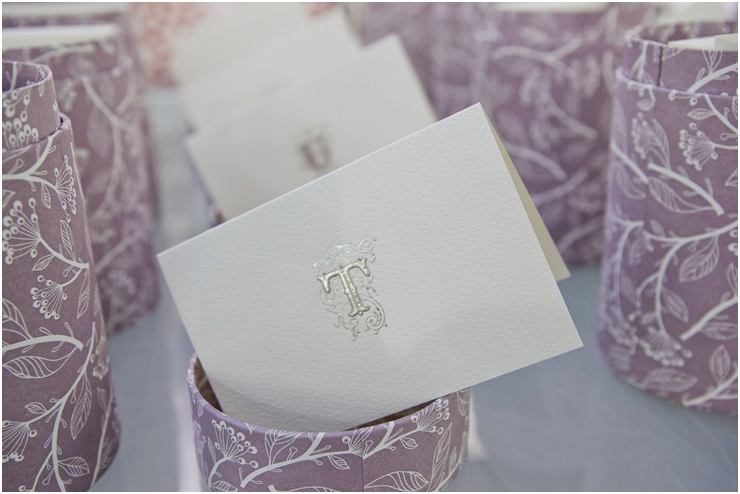 Love the Thanksgiving hostess idea, the silver personalized Monograms are very nice! Happy Thanksgiving..